No additional details were given in the report published 24 Dec.
Our tour leader Marco Fulle visited the volcano yesterday along with a small group on our ongoing Stromboli to Etna tour and reported that they saw more than 100 eruptions from various vents in total, during the 90 minutes they stayed on the top! 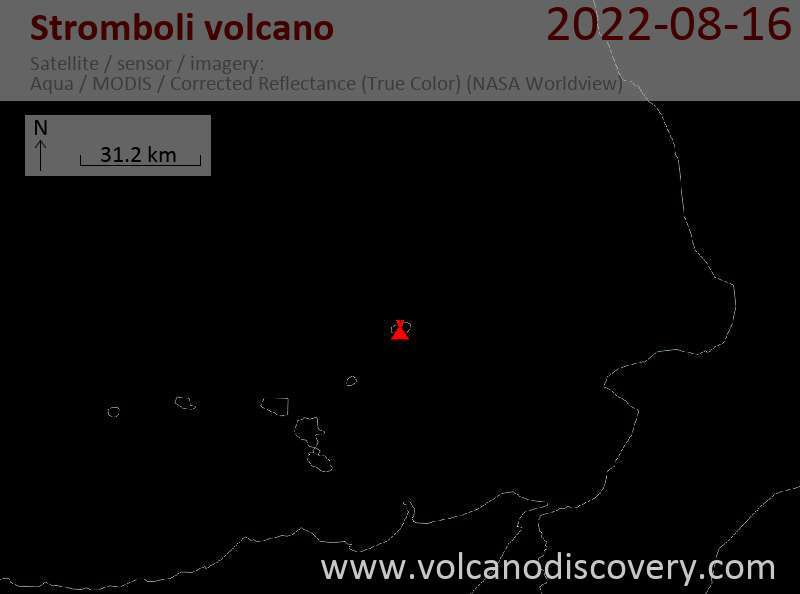 Eruptions from Stromboli's NE crater continue to be impressive, with heights reaching up to 200-300 m above the vent. The attached picture is an example of a moderate explosion we observed during our ongoing tour yesterday evening from a viewpoint on Bastimento, at about the same elevation from a few 100 m to the east. A series of stronger explosions occurred yesterday (24 April) morning at 11:05 local time from the southernmost vent of the central crater area, ejecting glowing bombs to approx 250 m and generating a dense ash plume that rose a few hundred meters. The activity at the volcano has been at normal levels recently, with small to moderate strombolian-type explosions from various vents every 5-10 minutes on average.